They sell a sub that has a built in amp that also runs the rest of the speakers. Sounds much better. They should have done it as standard I think. Where can I buy one of these bad boys? 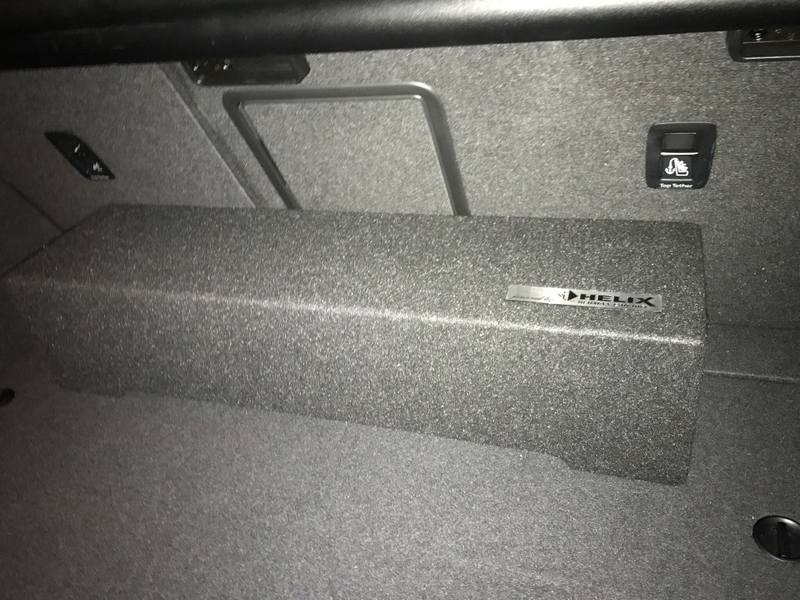 I've just installed the Helix box sub and its a massive difference to stock system, easy to install, and comes with a shorting plug if you need to remove it so your system reverts to original amp, the unit does require programming and I've got a dongle for rent if anyone needs it. Seconding KFiddy's advice, i have the spare tire Helix sub, wasn't able to source locally but imported from Germany for about the same cost landed. The spare tire sub does not come with the shorting plug to revert if you did want to chuck the space saver in for a longer road trip. Although in the back of the GTI with the boot level in the highest position I can see the spare fitting also (will test out). Wolf wagon sound is good enough while I'm too broke to upgrade the amp/sub/speakers. At the moment I'm not that fussed about having to plug my iphone into the cable to get Carplay, at least while I was in Sydney and even going to the local shops was a good 15-20mins in the car. Now that I'm in a regional area it's like 5mins in the car. In the Wolfie the bluetooth sound level is only a little lower than plugged in levels. In my Forester (with upgraded head unit) the bluetooth sound is waaaay down so if I turn it up for bluetooth, then get in the car the next time and plug it in it'll blast my ears off. When I'm not broke AF anymore I'd love to get the Helix system installed. I love me my loud clear music. Shpongle FTW!